Operation Deep Scope Expedition 2004. 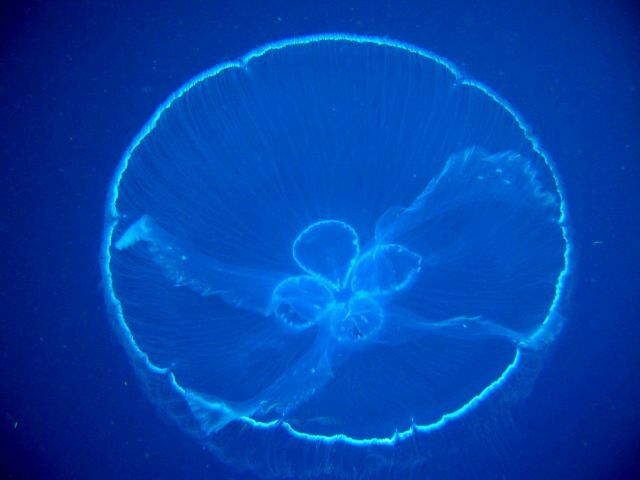 This jellyfish was observed by mid-water divers studying how these creatures adapt to living in areas where background light is in a constant state of flux. Transparency hides the animal from potential predators.